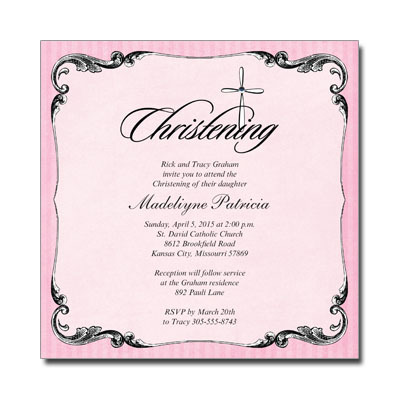 Our christening invitations feature a fancy flourish highlighting the cross, embellished with a jewel. Send them to your guests as a formal request to celebrate your child's Christening. Assembly is required. Additional postage required. Card measures 5.875in. square.